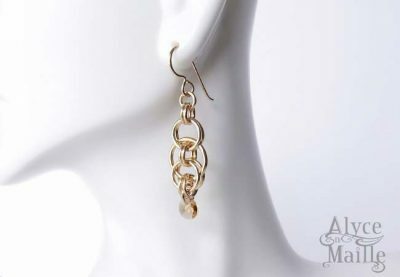 These handcrafted Swarovski crystal and gold earrings are breathtaking. They are beautifully crafted by hand weaving buttery 14kt gold filled rings. 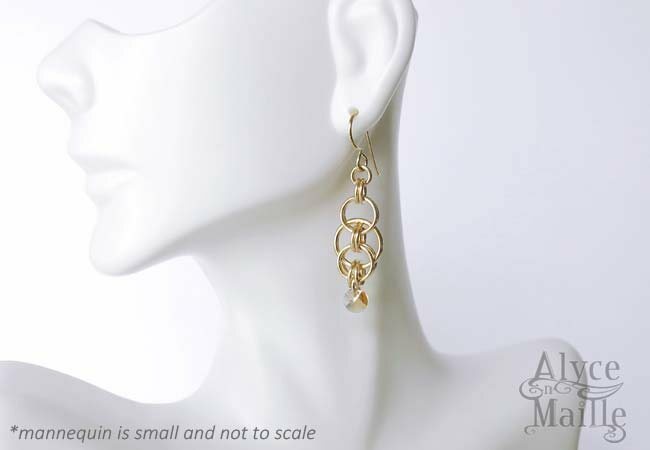 Each earring is then embellished with stunning sparkling topaz crystals. 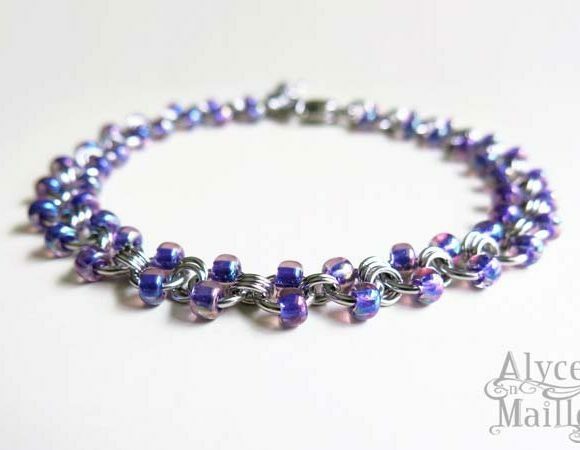 They offer a classic style that is both unique and refined. These handcrafted Unity Crystal and Gold Earrings are simply breathtaking. 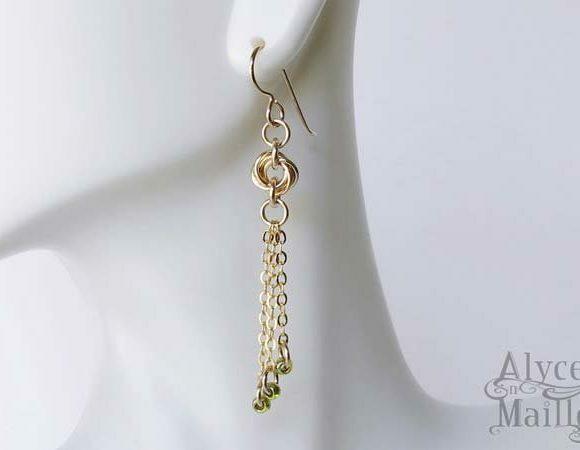 They are an Alyce n Maille original earring design that are beautifully handcrafted. 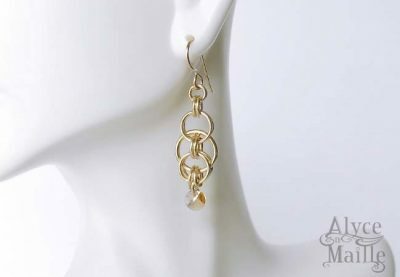 Each earring is carefully created by hand weaving individual 14kt gold filled rings. 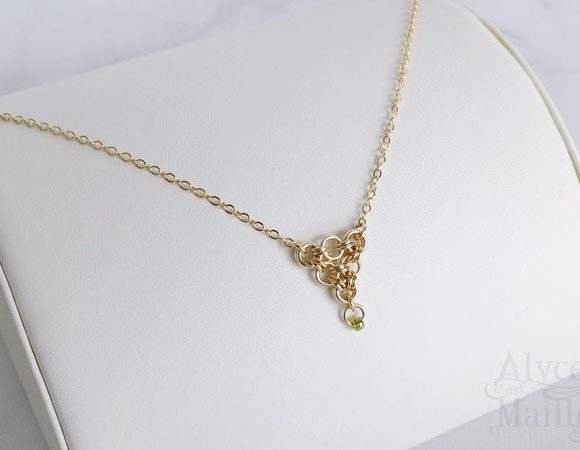 The color combination of buttery 14kt gold and topaz colored Swarovski crystal drops are gorgeous. These crystal and gold earrings offer a classic style that is both unique and refined. 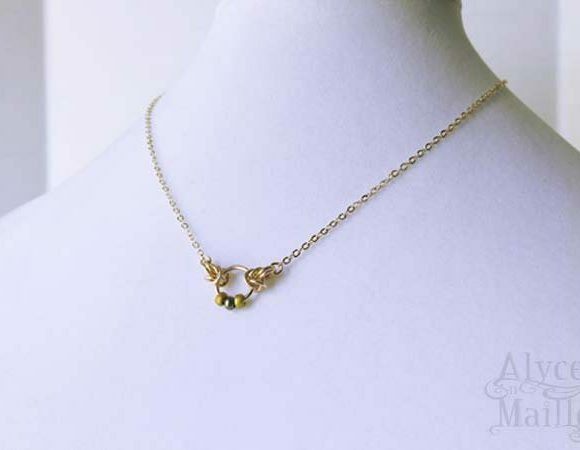 They would make a wonderful addition to your jewelry collection and a wonderful unique but elegant gift.